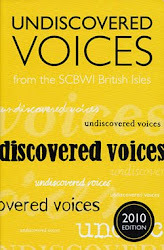 Last night I went to the launch of the fabulous new anthology of Undiscovered Voices, published by SCBWI and Working Partners. The anthology itself is full of brilliant work by new writers and illustrators, and the launch was a fantastic opportunity to catch up with writing friends and colleagues, old and new. I feel very honoured to have been included in the 2010 anthology. Not only did it lift those of us who were "winners" off the slushpile forever, and place me on the road to publication, it introduced me to some kind, supportive, funny, talented and all-around amazing people, many who have become, or are becoming, good friends. My writing life was lived in isolation for almost 20 years. 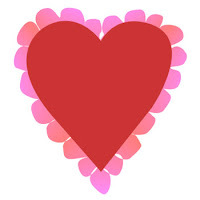 By joining SCBWI, and then being featured in the 2010 anthology, that all changed. I was party of a "cohort", part of a team, part of a community. Obviously, the brave new world of social media and networking has also made the writer's life a less solitary one, but there's something rather special about SCBWI British Isles and its members. I can't quite put my finger on it, but I do think that if Martin Amis had, in fact, become a children's writer, he would be a lot less grumpy, Come on, Martin--it's not too late and SCBWI membership is only $70! Join the party! 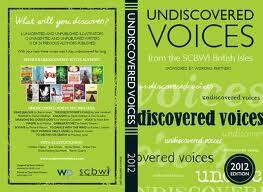 Long live Undiscovered Voices, the editorial team behind it, the brilliant work of the tireless SCBWI staff and vounteers. We members are very lucky to be part of such an inspirational organisation. Hah! I hope Martin Amis is reading! And great to see you last night! Also really appreciative of that pep talk... it seemed to work!